Ask any business owner, CEO, manager, or any kind of "higher-up" and chances are they'll tell you they've encountered issues regarding employee engagement at least once or twice in their career. There's no getting around the fact that an organization will only run well if everyone involved is fully engaged, yet these problems seem to appear regardless of how much work one puts into fostering an enriching work environment. What often goes overlooked when trying to determine why or why not a specific employee is engaged in his or her position is the concept of employee empowerment. The term "employee empowerment" has been tossed around liberally in the business world over the course of the past few years. The amount of confidence and comfort a staff member feels in regards to his or her ability to truly speak up and contribute to the organization as a whole. It may seem like a given, but the fact is that many modern employees feel stifled in terms of how much they can actually interject themselves into a project or work scenario. Spotting a lack of employee empowerment in your organization is the first step towards fixing any potential problems that might exist. Your Employees Always Work By Themselves — There's nothing wrong with having your employees tackle important tasks on their own when they truly need to focus on things. Bear in mind, however, that a penchant for working solo is an indicator that an employee feels withdrawn and not as if they're part of the group. Fostering a team mentality is of the utmost importance, and when employees are always working on their own, it can be difficult to achieve this goal. No One is Speaking Up — Communication is key to any successful office, yet it falls by the wayside more commonly than most people would like to admit. When employees stop speaking up and communicating ideas or needs that might be on their mind, a number of different hurdles can pop up out of nowhere, some of which may be difficult to concur. Employees that don't feel empowered will most likely stay mum unless something is truly bothering them, which even then may not be enough to cause them to speak their minds. 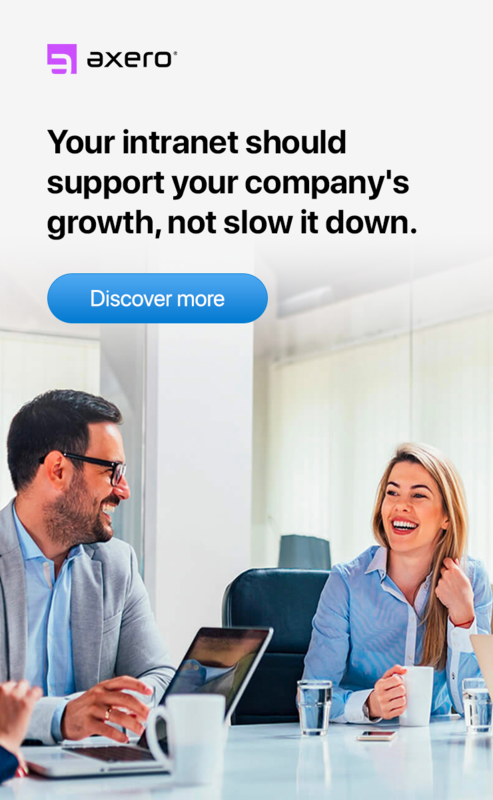 Flow of Ideas Slows Down — For many businesses, finding solutions to complicated problems is a daily necessity and the only way to truly grow and support a customer-base. When the flow of great ideas slows down, a number of issues can occur, many of which can have negative effects on customer retention. This is exactly what happens when employee empowerment suffers in an organization, and avoiding the problem can sometimes be easier said than done. While finding a solution to any of the above issues can be challenging at times, there is something that can help, and it's referred to as social empowerment. There are a variety of ways in which one can view the concept of social empowerment, all of which lead to a more productive, engaged workforce. Employee empowerment is basically what happens when employees and colleagues begin to work together in a group or team setting. This can happen either within a physical office or via the Internet, the latter of which is made easy by social intranet software. Social intranet software is a suite of tools that allows employees to communicate with each other, share files/documents and contribute to an organization's knowledge-base, regardless of where in the world they may live. 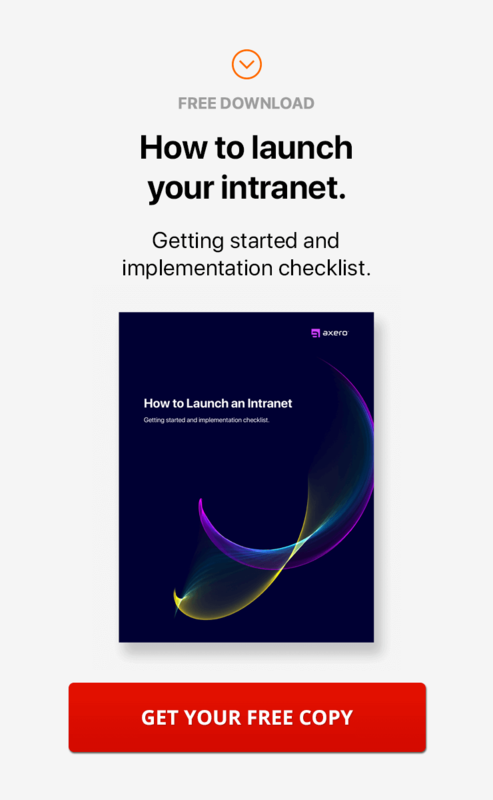 Employees simply log into the social intranet, where they are updated with a home screen not unlike that which might be seen on any familiar social network. From here, they can collaborate with one another and work to find solutions to whatever issues may be at hand. As one might expect, social intranet software allows for social empowerment in ways that are difficult to parallel. The following are just a few examples of how collaboration tools make it easier for employees work with one another, even if they're located within the same physical office. A Central Location for Everything - Juggling a variety of daily tasks and processes can be quite difficult, especially as one's roles and responsibilities increase. Having a central location for file sharing, transmitting ideas and scheduling (among many other processes) can be immensely helpful in terms of allowing one to focus on what really matters throughout the day, which can in turn serve to improve employee empowerment in your organization. Less Pressure, More Accountability - Some people have a hard time speaking up in a physical group setting, as pressure and anxiety can stifle the things that one may have to say if they're not feeling up to taking a risk. A virtual social community is ideal for these individuals, as it tends to help break down barriers and foster a more open form of communication that can be difficult to achieve in face-to-face scenarios. As one might expect, this lack of pressure is highly beneficial to any organization. Easy Organization and Retrieval of Information - The ability to organize and retrieve information in a quick and succinct fashion is something simply cannot be ignored, no matter what kind of business one runs. Social intranet software makes it simple for staff members to post comments, documents, files and more, all the while having the ability to tag each upload so that it can be easily retrieved via a search feature when necessary. It's already painfully obvious for many managers and HR people just how problematic a lack of social empowerment can be, especially considering its effect on employee engagement. By gaining a better understanding of how social empowerment can actually help to push your business in a forward direction, you'll find it easier to work towards. Reduced Costs - When employees are working on a project together rather than separately, you can expect that a lot more progress will be made in a shorter period of time than if they were to work separately. What this means, of course, is reduced costs overall, which can truly amount to quite a bit of money over time if you hit a good stride with the ways in which your employees work together. Better Ideas & Solutions - Great ideas are what sets a benchmark company apart from one that's falling behind, and social empowerment can help you to get there. Collaboration software makes it a breeze for employees to interact and work with one another, even if they're not even located in the same country. The result is better, more effective ideas and solutions that can help to elevate your business to the next level. Improved Customer Service - Customer service is truly up there with employee empowerment in terms of things that any good CEO will focus on above all else, yet many people lose sight of the fact that the two actually go hand in hand with one another. When employees become socially empowered, they can utilize collaboration tools to provide better customer service to clients and customers in real time, giving an entirely new look and feel to the concept of customer support. Case in point: Ritz-Carlton (a good read). Faster Onboarding - Bringing on new employees is a difficult task, regardless of what your organization's focus may be. As a result, the sooner you can move towards a faster onboarding process, the better. Social empowerment with collaboration tools is an effective aid for hastening employee onboarding, as your social intranet can contain an entire knowledgebase of information to learn from, not to mention the support that can be provided by veterans of the community. Social intranet software is highly effective at improving an organization's ability to foster social empowerment, but there are a few things that should always be kept in mind if you're looking to get the most out of using it. After all, collaboration software is just a platform - it requires an adept staff to operate at full capacity. Fortunately, getting to this point isn't as difficult as you might think, especially if you employ the following tips. Create an "Open Door" Policy - If you want your employees to truly feel empowered, you need to make it as easy as possible for them to do so. Whether you're working in the same office as your staff or everyone is located throughout the globe, you should always strive to have an "open door" policy, allowing employees to communicate their needs and ideas with you at all times. Social intranet software makes this easy through its messaging system, although it's always wise to embrace a face-to-face approach if you're given the opportunity. Acknowledge Employee Achievements - There's no better way to ensure that an employee feels truly engaged and empowered than to reward them for a job well-done. Many people work exceptionally hard and are never given a pat on the back for their contributions, which can lead to resentment over time. Always pay close attention to the progress made by your staff, and reward them in whatever way you see fit, whether it be an extra paid day-off or a simple honest, appreciative handshake. Encourage Risk-Taking Ideas - No employee wants to feel as if they've messed up in offering an idea or suggestion, which can often keep people from speaking up in the first place. For those in a managerial position, there's nothing more important than letting employees know that risk-taking ideas are not only alright to present, but actually encouraged. This is the only way to ensure that well thought-out solutions can be achieved, as you'll be taking far longer a route than necessary otherwise. Define Roles if Necessary - In some situations, you may find it necessary to define roles within your organization via social intranet software. This can come in the form of creating certain permissions within your social community, assigning managerial tasks to certain high-level employees, or otherwise. Defining roles can help to make those who are thriving in the organization stand out, which can lead to a better, more productive task force. 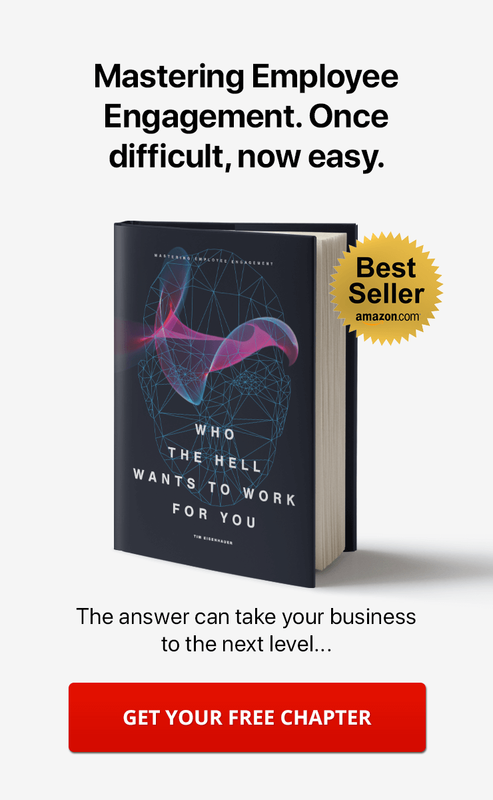 Allow Employees to Embrace Their Own Unique Style of Work - It's difficult to remain in control once employees have become socially empowered, but this isn't necessarily a bad thing. Allowing employees to embrace their own work style will encourage them to become more independent, which in the end will make them better team members. If you truly need a safety net to ensure that you're still feeling in charge, you can always set specific permissions that restrict certain individuals from accessing parts of the virtual community. Demonstrate and Showcase Progress - Sometimes, it's important to show your employees that the work they're putting in is actually paying off. If you can pull together statistics and other specific details that highlight improvements that have been made over the course of a certain period of time, you may find that your staff will end up feeling more empowered and productive, which can in turn have a positive effect on the future of your organization. It can take a long time to build momentum when trying to embrace social empowerment. If you take the right route and utilize social intranet software as a vehicle, however, you'll have a much better chance achieving your goals. Any successful business owner is fully aware of how much of an impact employee empowerment can have on productivity and morale. Empowerment can not only make employees feel as if they're a more important part of the team, it can also facilitate the creation of effective ideas that can be used for finding solutions to difficult problems. When social intranet software comes into the picture, employee empowerment is almost always a beneficial side-effect. As with many aspects of business, empowering employees to be social can be somewhat of a double-edged sword. While it can lead to a more productive, streamlined workweek, it can also cause you or your managerial team to lose control to some extent. When employees gain more power over their day to day, they often attempt to take things into their own hands in ways that might not occur otherwise. This is, of course, not a bad thing. Though, issues can no doubt arise from such a scenario. Just because your employees are getting used to being more empowered in a social environment doesn't mean that you need to sit back and give up control. Indeed, there are a number of things that you can do to ensure that you don't lose control over your team, and it's not as difficult as you might think. Take the following tips, for example, each of which will help to ensure that you remain in control and that your team stays on track at all times. Just because you're concerned about losing control in an empowered environment doesn't mean you need to constantly be looking over everyone's shoulders. Instead, you can get quite a bit of mileage out of delegating a team leader for each team in your workspace. A team leader who is well-versed in what you're looking for as the end result of a project will not only help to keep employees on task, but will also ensure that your vision doesn't get skewed in the process. When choosing someone to lead one of your teams, it's essential to ensure that the person you pick is the right manager for the job. He or she should not only be on the same page as you in terms of process, but should also be adept at using social intranet software as a tool for leading a team. This way, employee performance is monitored no matter where each individual is located, and any problems that employees run into in terms of utilizing the system can be nipped in the bud before they turn into longstanding issues. If there's one problem that can come along with employees becoming socially empowered, it's that of not meeting deadlines and getting things done properly. There are a variety of reasons why this might result, although the most effective way to deal with it is to ensure that it doesn't happen in the first place. Clarifying goals from the very beginning of a project means that your employees will be held accountable for their actions, and no one wants to disappoint their boss. When setting out to clarify the goals of a project, it's best to have a mandatory internal meeting before anything gets underway. In this regard, everyone will be fully aware of their role and will have the opportunity to ask questions if need be. You can use timelines, visual diagrams and any other type of aid to help get your point across, and don't hesitate to deliver a written schedule to each and every employee on a team. The more detailed you can get with clarifying goals, the less likely it is that an employee will stray from the tasks at hand. As anyone who is used to working off an intranet or collaboration platform knows, the ability to set permissions can surely come in handy. A social intranet is typically made up of a number of different “spaces,” each of which serves a specific purpose. Your company's marketing department, for example, may have their very own space within the intranet, as might your business's IT department. In certain scenarios, it will be necessary to set permissions so that employees from other departments can enter each other's spaces to post documents, share ideas, or communicate about the status of a project. For the most part, spaces are typically delegated to specific employees, and setting permissions can help to ensure that no one has too much on their plate at one time. After all, if there's no need for one department to access the virtual workspace of another, why allow it to be done in the first place? On occasion, social empowerment becomes a problem not because of something your employees are doing wrong, but perhaps as a result of issues you or your managerial team might be creating. A lack of direction can have detrimental consequences, especially if it is allowed to continue. One way to avoid this potential pitfall is to give real-time updates to your team on a regular basis. The ability to communicate in real time with employees is one of the major benefits of using social intranet software, and there's no reason not to take advantage of it. Updating employees on the status of a project, any hurdles that may have gotten in the way, or even sending out a congratulations on a job well done can have a number of positive effects, especially if you do so regularly. Try to be as clear as possible about your intentions when giving updates, as you always want to ensure your team doesn't have to sit back and wonder what's on your mind as a manager. The technology inherent in social intranet software has made it easier than ever in the past for remote employees to collaborate with one another, which is certainly something to be heralded. Bear in mind, however, that there's nothing more effective than a personal phone call when things are going awry. Chat and messaging can only get you so far when there is a problem that needs to be addressed immediately, and these methods tend to lessen the impact of an important conversation. If you find that your team is straying from the goals you set in place at the beginning of the project, it's time to pick up the phone and dictate exactly what it is that's on your mind. Your employees will not only appreciate your straightforward approach, but will be far more likely to correct their actions than they might be if they were to receive an email instead of a phone call. All this said, be sure to use phone calls sparingly to ensure that they don't lose their impact. It's not about an intimidation factor, but there's something to be said for being authoritative when you feel as if you're losing control over your team. Don't let employee empowerment make you feel as if you're relinquishing control. It can be difficult to get used to when you make the switch to social intranet software, but it doesn't have to have be a concern if you remain mindful of what's happening in your virtual workspace on a regular basis. If you'd like to learn more about employee empowerment and how to increase employee engagement, you can check our our employee engagement resources. 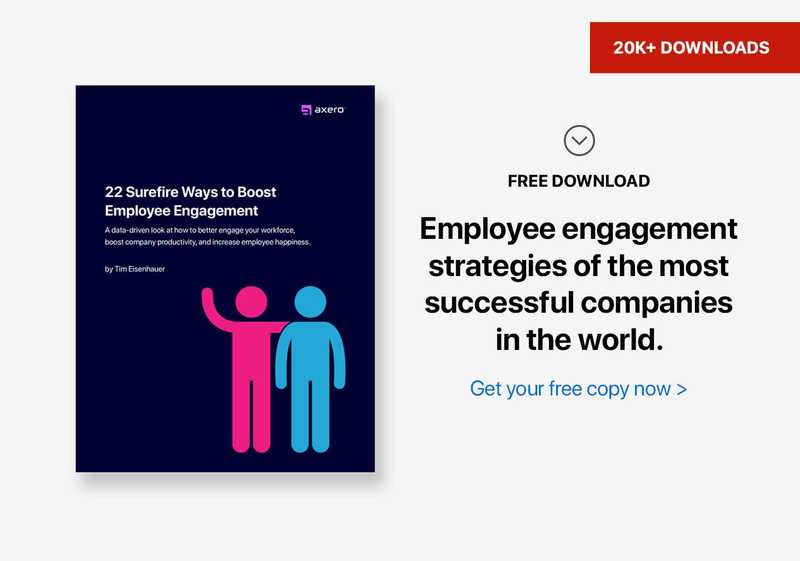 I also recommend that you download our free 99 page, information packed ebook, "22 Surefire Ways to Boost Employee Engagement" ... where we outline and break down 22 practices / case studies of forward-thinking companies doing employee engagement the right way.